When it comes to mortise locks, we are the specialists. 858 Locksmith has more than 5+ years experience, and we are licensed bonded and insured for your protection. Don’t just let anyone handle your locks. You will get fast and friendly services from our expert technicians who provide 30 min response times. We know that when you have an emergency, time is of the essence. If you already need have to replace your locks, why not go with a high-class mortise variety? We want to ensure that our customers’ needs are handled anytime day or night. We are the 24/7 locksmith service that you can trust. We install and repair mortise locks in the San Diego CA and surrounding areas. We have a reputation for success, and that is why so many customers choose us first! Our complete locksmith service handles mortise locks. 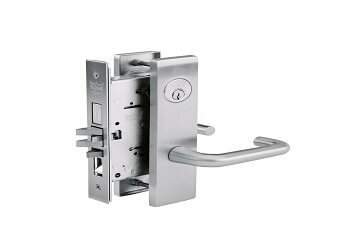 Many customers are looking for this style of lock because it acts as a combination of locks. Because of its dual-action, it can be a doorknob and a deadbolt all in one. They have a unique and high-end look that cannot be ignored. The mortise lock is set within the body of the door and is recessed. Unlike traditional locks, which are attached to the doors surfaced, a pocket, or mortise, is cut into the door. It is not uncommon to find this style of lock in an older building, specifically those erected before the cylindrical lock was invented. However, most recently they have become commonplace in residential construction. They are widely used in Europe, and many homeowners who want high-class finished opt for the mortise locks. In the United States, the typical mortise lock installation parts are the lock body, lock trim, doorknobs, levers, handle sets, and pulls. A typical installation process also includes the strike plate, which lines the hole in the frame into which the bolt fits. Mortise locks have gained in interest, and you may want to put them in your home. Because of their intrigue nature, you need a professional to install these locks. Many installation professionals use a mortising jig, which makes accurate cutting of the pocket an easy job. Most homeowners don’t have these types of tools lying around. However, even the succeeding installation of the exterior trim can still demonstrate to be problematic if the installer is not trained in this area. The average homeowner can not usually undertake the installation of these locks. It is a labor-intensive process that requires a functioning knowledge of elementary woodworking tools and approaches. Don’t worry, we have up front pricing and can let you know the cost before we begin any work. We have an extensive variety of styles for our customers. With these locks, you can match the décor of your home or business with ease. Whether you use nickel, chrome, brass or any other finish, we have several varieties to choose from. These locks also come in different styles. From modern to rustic and even contemporary, there is a lock made just for your abode. 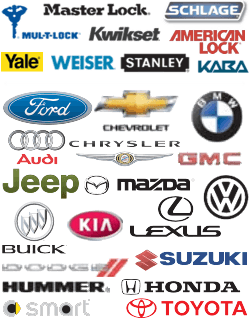 Our customers in the San Diego CA and surrounding areas use our mobile locksmiths to help with their lock issues. At 858 Locksmith, we provide up front pricing; we can tell you exactly how much it will cost to install those mortise locks you desire. Our technicians go out of their way to make you feel comfortable. They explain what they are doing and how much it will cost. All of our technicians have received formal training, so they are competent in the field. As a complete locksmith service, many of our customers choose us for our have skilled technicians, competitive pricing, and honest service. It also doesn’t hurt that we provide 24/7 locksmith service either. Don’t call companies that haven’t been in business long and have little experience, deal with the professionals. Mortise Locks https://858locksmith.com/mortise-locks/ 3.7/5 based upon 15 reviews.